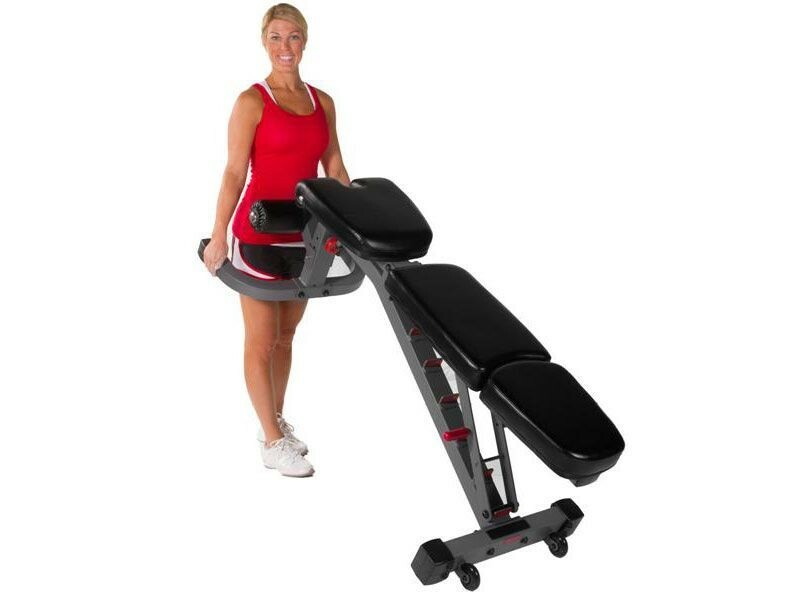 This flat/incline/decline bench works great in light commercial environments. 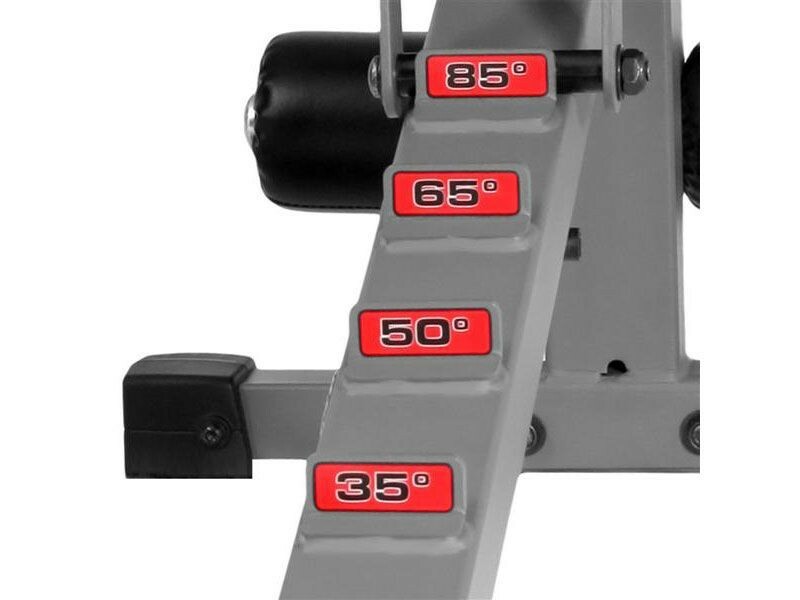 It inclines in 6 increments to a full upright position. 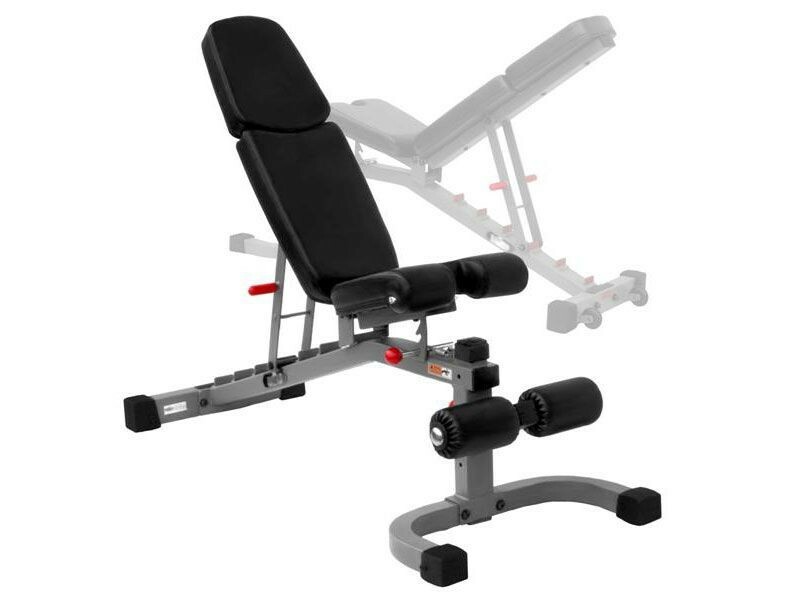 1,500 lb Weight Limit - Over-engineered for the heaviest workouts by the strongest lifters. 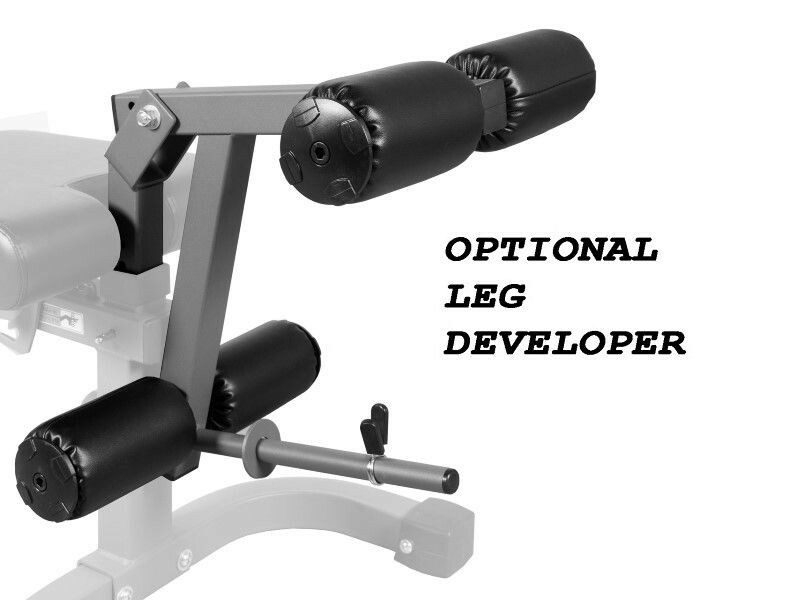 OPTIONAL LEG DEVELOPER - Powder coated 11-gauge steel, with oversized vinyl covered rollers for comfort. 1" diameter weight post will take standard or olympic weights. Weight post will hold about 4 45lb weight plates, or 180 lbs. OPTIONAL PREACHER CURL - Powder coated 11-gauge steel. 3" padding with tough vinyl covering. Height adjustable. 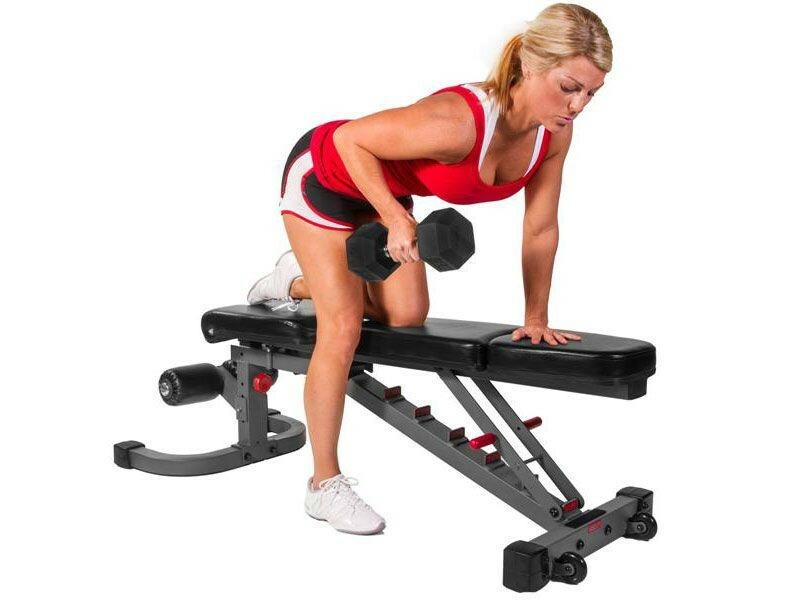 Use this for preacher curls using a dumbbell or curl bar. Height in Flat Position 22"